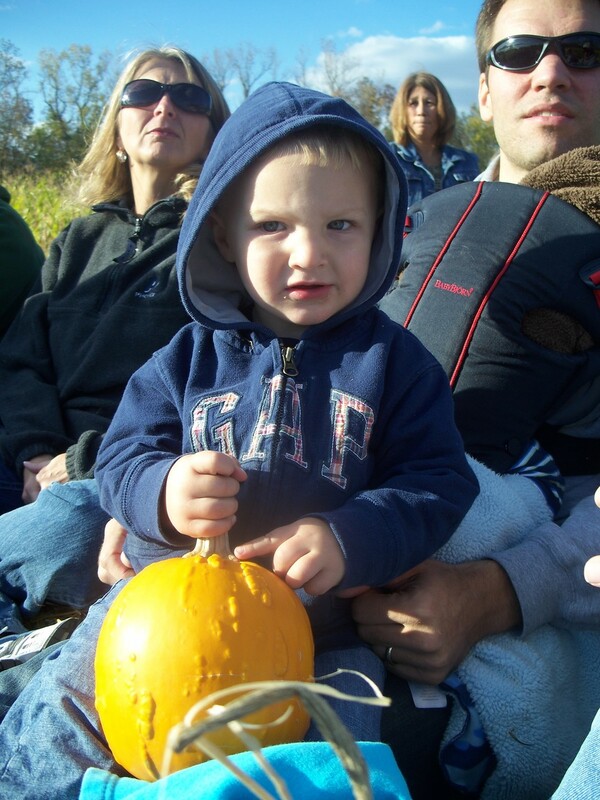 Okay, so we have gone twice now to pick pumpkins at pumpkin patches. 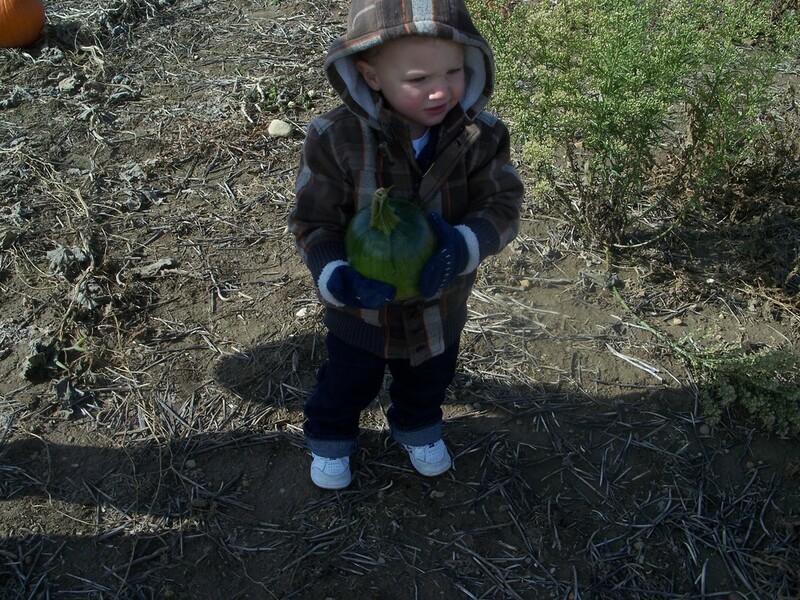 And both time Evan has picked the ugliest pumpkin in the patch. My mom says he is showing "his creative side". I just think he likes to be different but either way it is pretty funny watching him survey the patch and go immediately to the one that no one else will pick.Here are some pics of both of them. The first one, I didn't get a good picture of but it is one that has the bumps all over it. The second is easy to see what is wrong with it - It is still green. He was so proud of both!